Falalalala lala la la! Adam and I are completely and totally in love with the holidays right now, so we figured what better way to show our holiday spirit than to throw a fabulous and festive party! 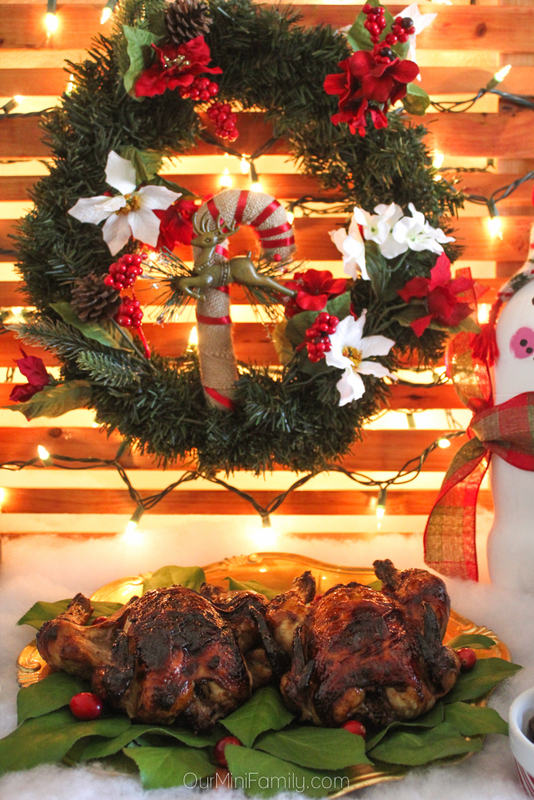 Today, I'm sharing all of the recipes and tutorials from our holiday party! 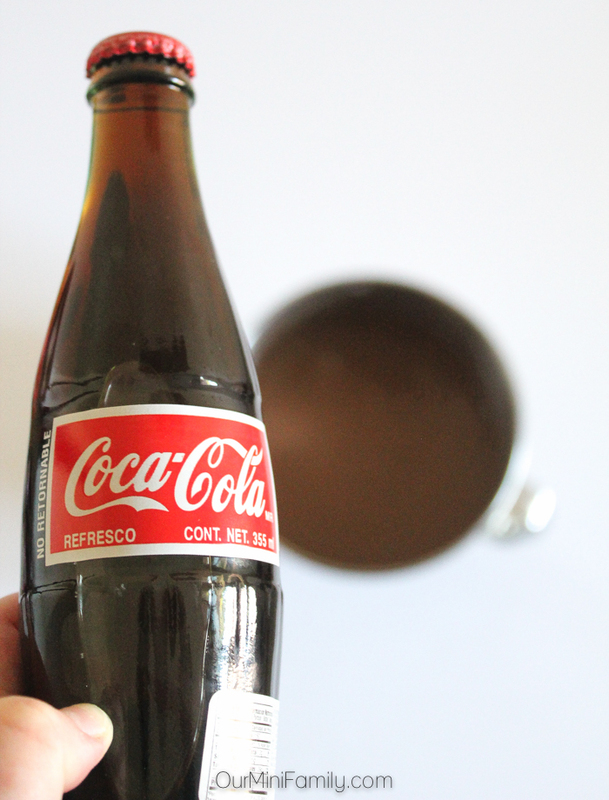 In a medium saucepan, combine Coca-Cola with dark brown sugar and cinnamon. Whisk well. Place saucepan on low heat and stir occasionally (until you're ready to glaze your hens). Using a small basting brush, generously apply your glaze all over every side of the hens. Pour any remaining glaze you have inside the cornish hens. 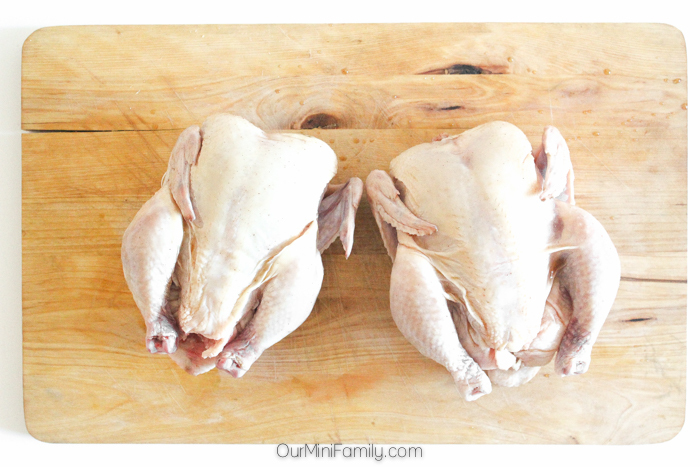 Bake the hens in the oven for 60 minutes (or until internal temperature exceeds 180 degrees F). 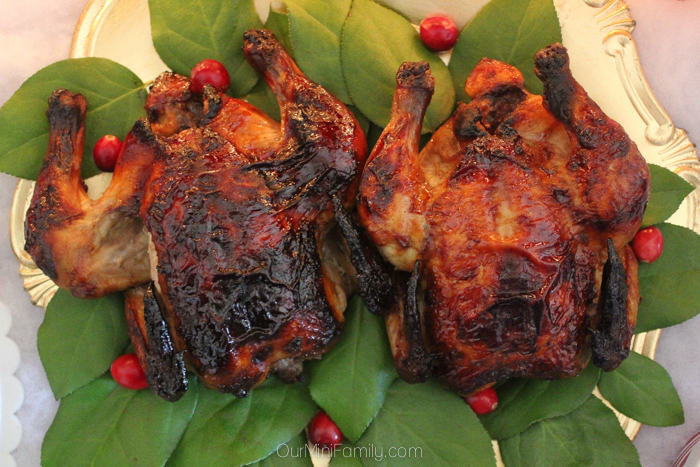 These Coca-Cola Glazed Cornish Hens are a great alternative to cooking larger poultry during the holidays. We had a few of our guests cancel last minute the day before our party, so we knew we only had to cook a couple of the hens in order to accommodate the friends that were planning on coming over. 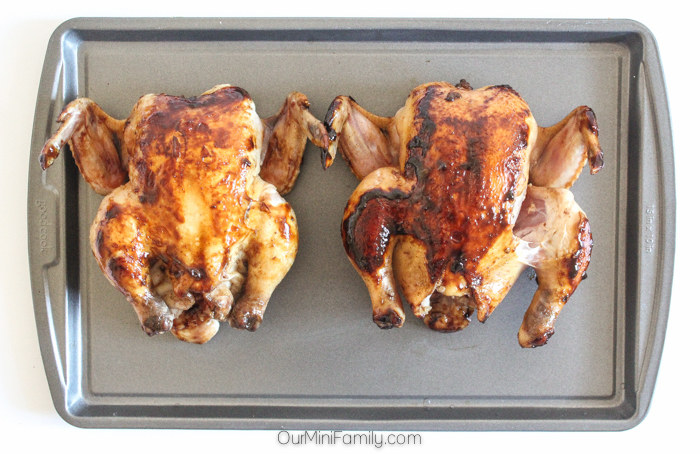 Aside from being convenient, these cornish hens are incredibly juicy and so succulent! Clean and chop up mushrooms. Pour extra virgin olive oil into a medium frying pan on the stovetop. 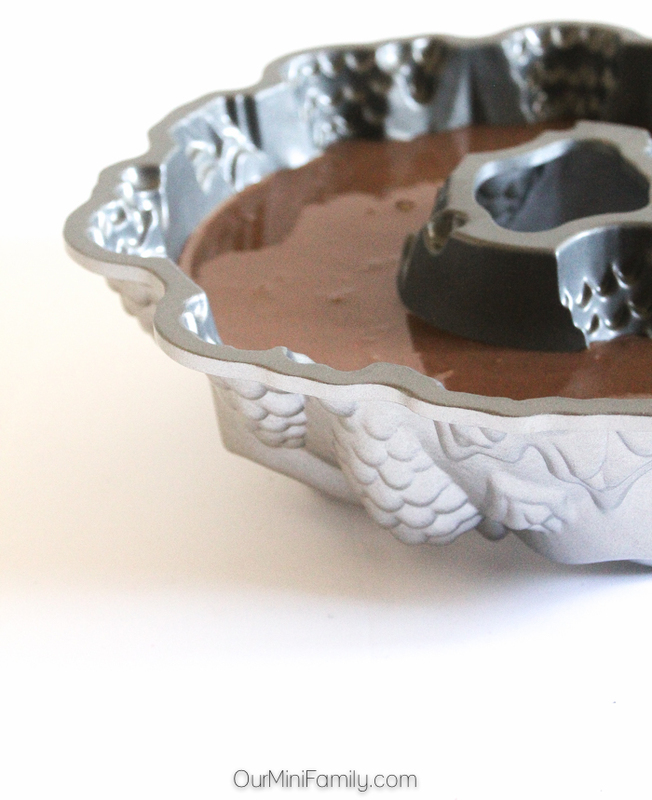 Warm pan to medium-low heat. Pour mushrooms into the pan on medium-low heat, and then pour Coca-Cola with salt over them. Cook for 10-12 minutes. Flip mushrooms about halfway through to ensure they cook evenly. Once your mushrooms have reached your desired texture and are cooked all the way through, pour out any excess Coca-Cola into the sink and drain the mushrooms. 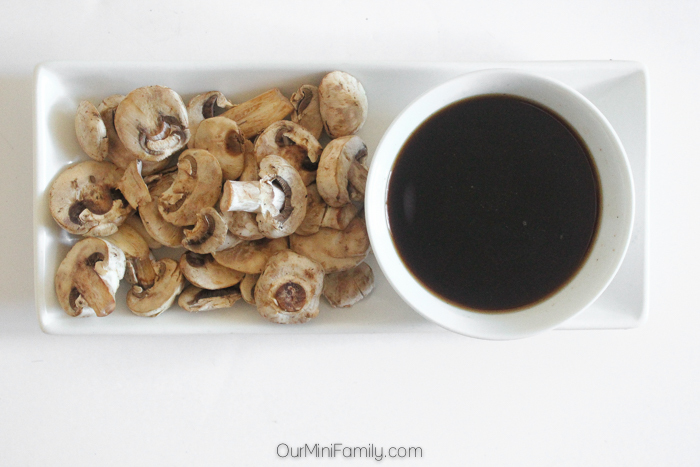 It's a family tradition of ours to offer mushrooms as an appetizer for party guests to snack on. Growing up, I remember my grammy having mushrooms out next to the cheese and cracker plate before dinner was ready. 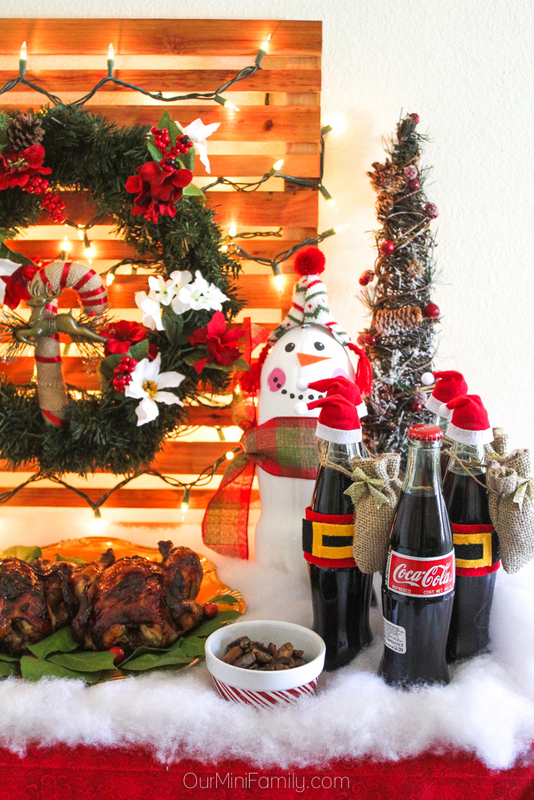 I like to carry her tradition into my party planning whenever it fits with the meal we're eating--I knew these Coca-Cola Glazed Mushrooms would be perfect with our cornish hens! In a large bowl, mix the eggs with the buttermilk and butter. If using a blender, use medium speed. Stir in the vanilla and continue to mix well. In a separate large bowl, combine your dry ingredients. Mix well. Pour the dry ingredients a little bit at a time into the wet ingredients bowl. Continue to mix the cake batter as you add more ingredients until you've added all of the dry into the wet. Finally, add in the Coca-Cola. Mix well again until the texture is runny. Fill bundt pan about 3/4 of the way up and bake in the oven for 45-50 minutes (see the directions for your bundt pan to be sure, since some bundt pans call for a shorter/longer bake time with how light or dark the metal is). Let the cake cool and then remove from the bundt pan. Serve and enjoy! 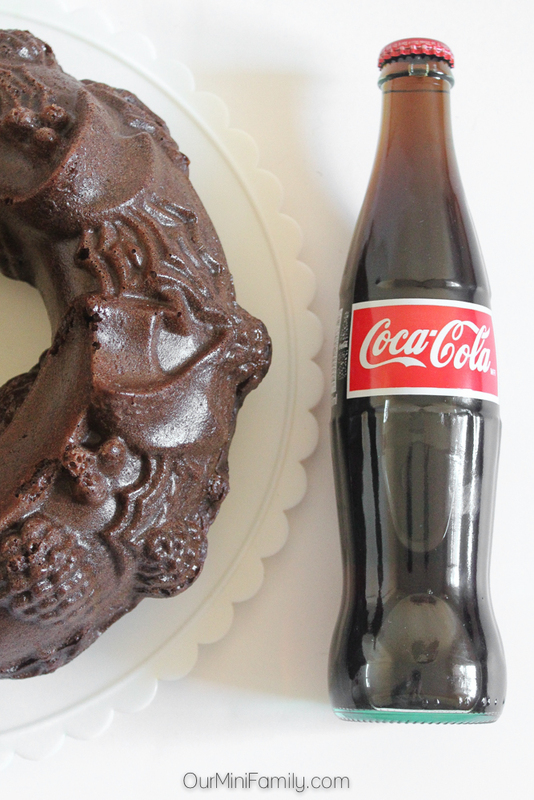 This Coca-Cola Chocolate Bundt Cake was the life of the party! Every last crumb was gone before the party was over! 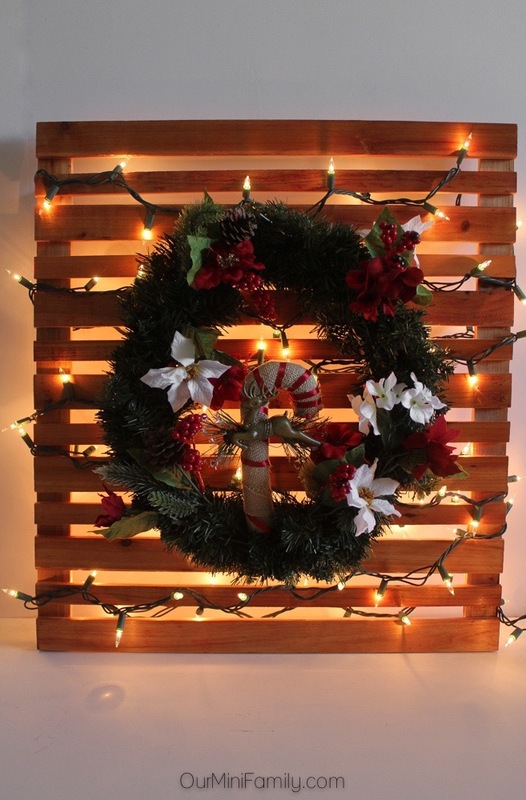 To make our holiday party backdrop, we had to put together our wreath and also stain our wooden palette. For our wreath, we picked up a standard 13-inch plain wreath, floral wire, and some floral accessories at our local craft store. 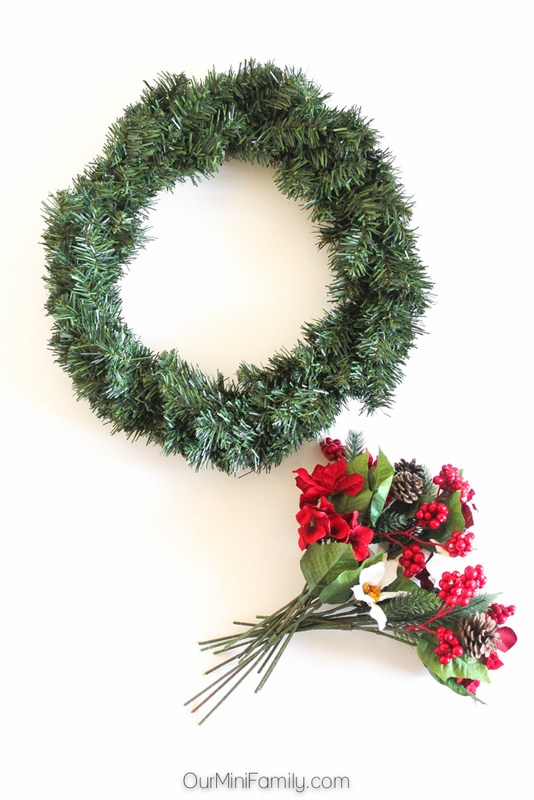 There isn't a science to creating a wreath--you've just got to have some fun with it! Once we decided where we wanted all of our floral accents, we secured them to the metal backing of the wreath with some floral wire. 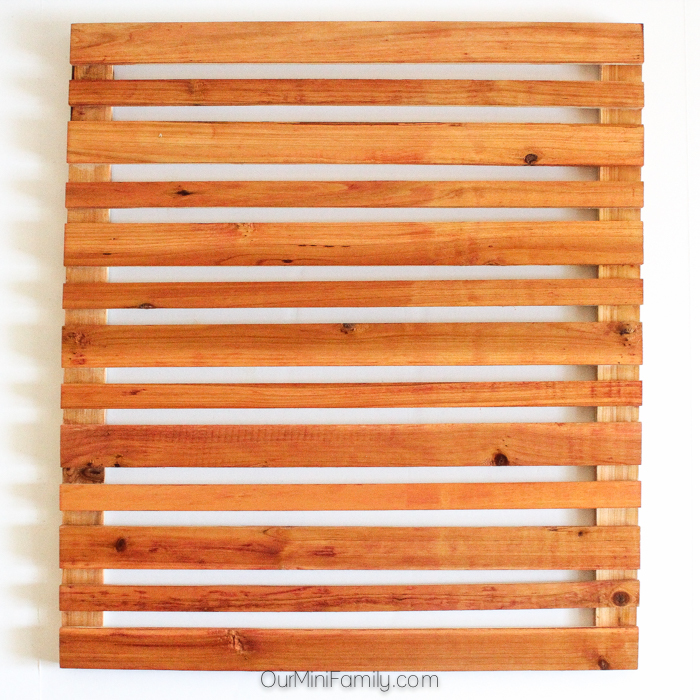 For the second part of our backdrop, we used a standard, thin wooden palette we picked up at our local hardware store. Using a chestnut-colored stain, we applied the stain with a rag for about 3-4 coats (letting each coat dry for a few hours in-between layers). Once the palette was completely dry, we began layering it with whimsical white lights. 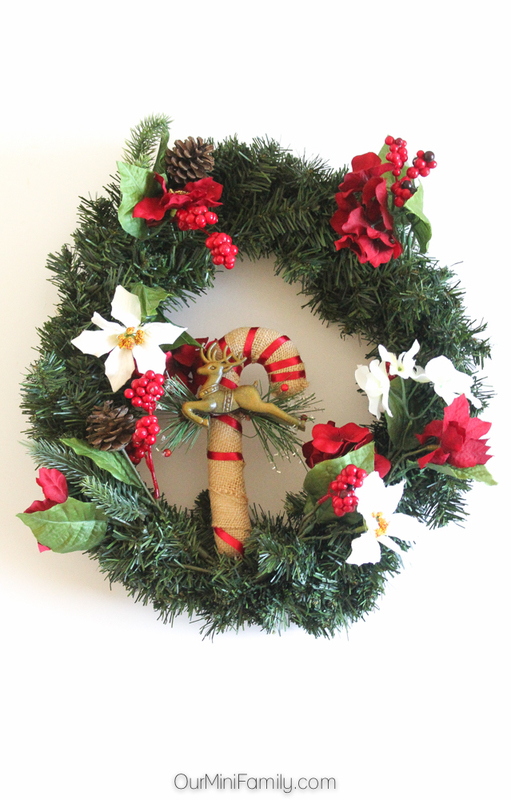 Finally, we used some extra-large twist ties to secure the wreath to the wooden palette. It's safe to say that I am now OBSESSED with this backdrop! Once our holiday party was over, one of the first things I did when we were breaking down the party setup was move this gorgeous DIY into our living room! 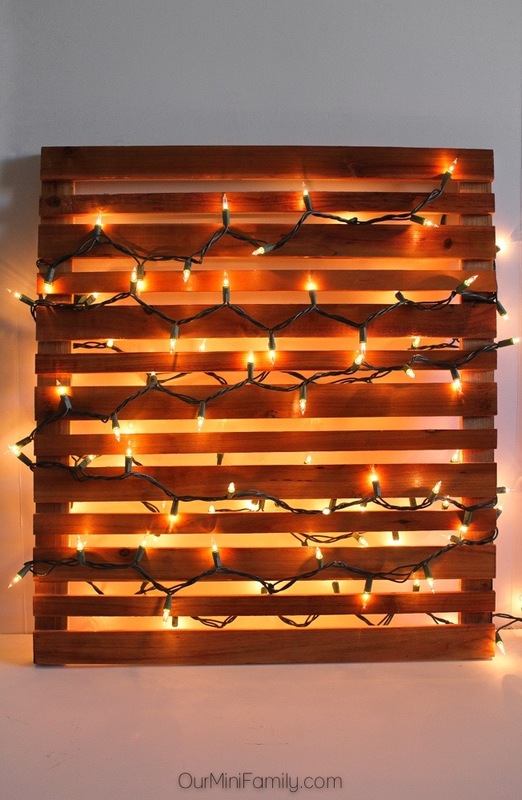 Now we'll have both our Christmas tree and our party DIY to light up our room all season long! I got the inspiration to make a bottle cap ornament after a recent trip that I made to the mall--I saw this mall kiosk that was selling some beautifully customized ornaments, and they had painted bottle caps, attached them, and shaped them together to make these exquisite Christmas tree ornaments. 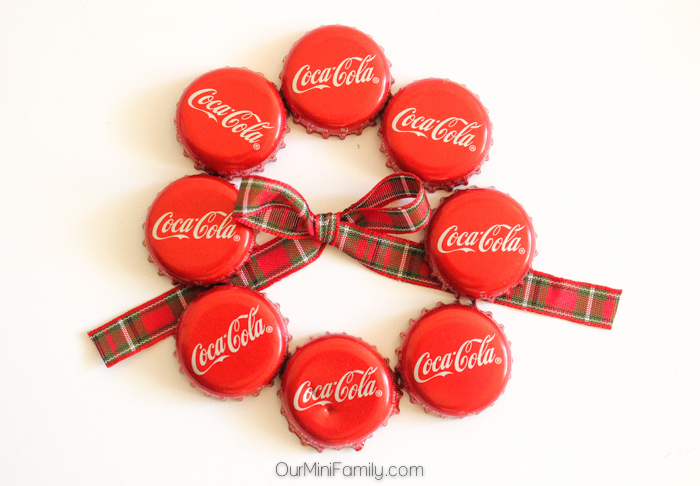 Once I saw the bottle caps on my Coca-Cola glass bottles, I knew I wanted to try making my own ornament! 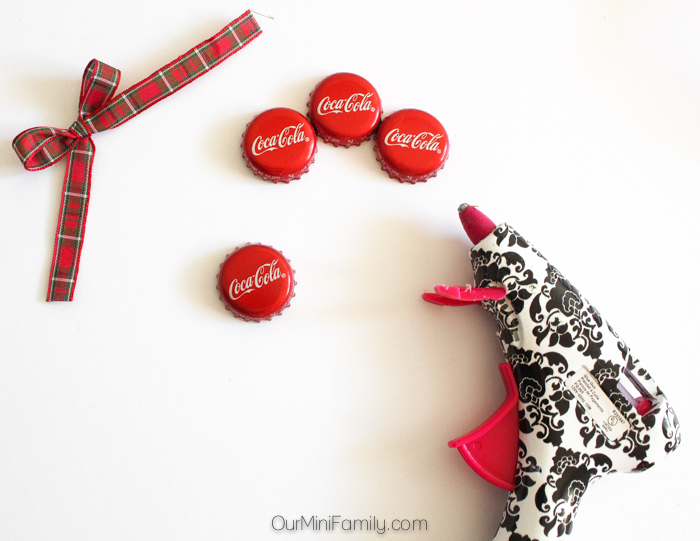 Making my bottle cap ornament was a breeze--for my tutorial, I used: 8 bottle caps, some festive ribbon, a hot glue gun, and scissors. First, I cut my ribbon so that it was about 1 foot long. Then, I began attaching the ribbon to the backs of the bottle caps with a hot glue gun. When I had reached the last bottle cap, I made a circle out of them and then attached one end of my line of bottle caps to the other side with more glue. 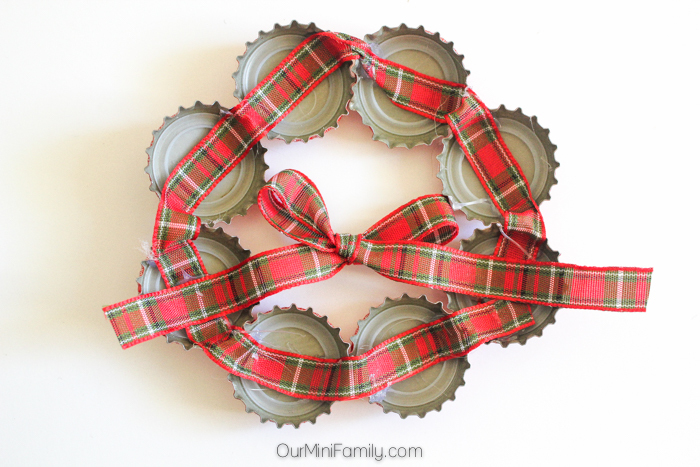 This would be a great Christmas gift idea if you're looking to upcycle some leftover bottle caps! For my supplies, I used: glass bottles of Coca-Cola, red felt, black felt, yellow felt, scissors, glue, doll-sized Santa Claus hats, small burlap bags, glitter ribbons, and cotton balls. 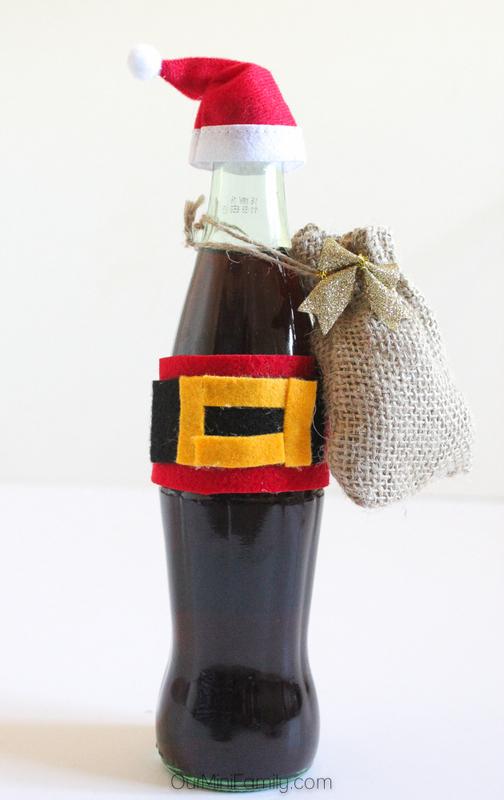 The first layer I glued to the bottle was the red felt, followed by black felt and then yellow felt (to personify Santa's suit and classic belt). Then, I filled my burlap sacks with cotton balls to look like Santa's bag of toys--and attached a gold ribbon for that extra something magical. 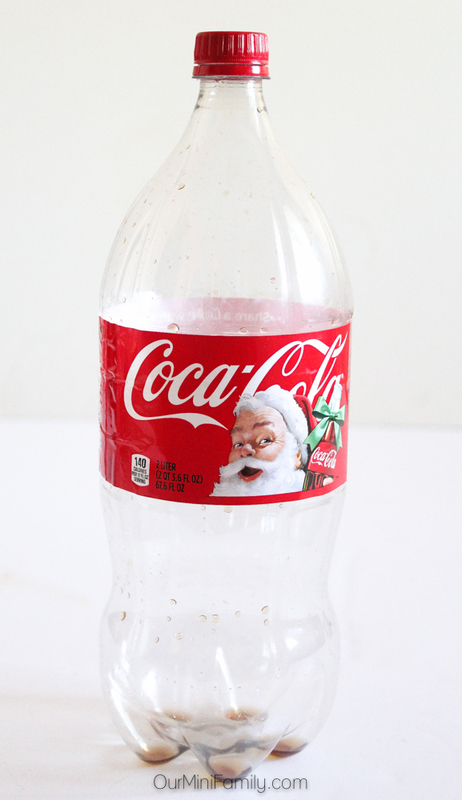 Finally, I topped off the Coca-Cola bottle with the doll-sized Santa hats. 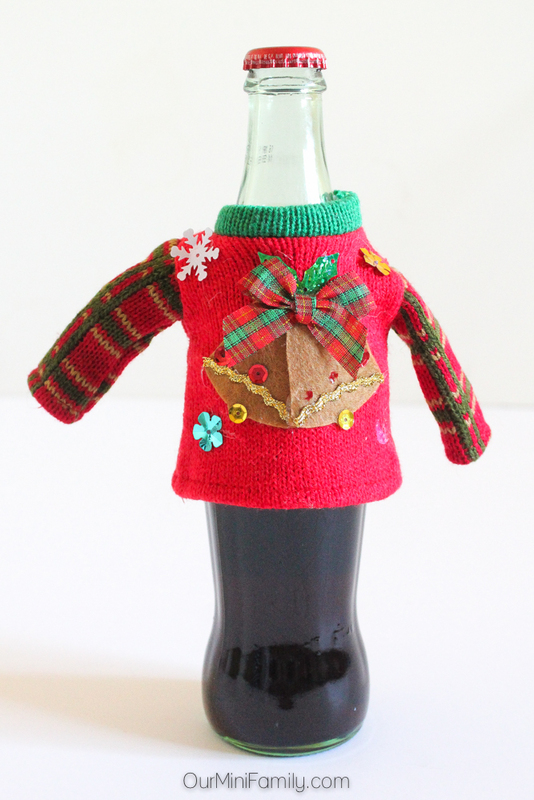 Everyone loved the Santa in a Bottle idea--and they also loved the Coca-Cola in a Sweater idea! I was walking around aimlessly in the craft store (like I usually do), and then I suddenly saw these adorable Christmas sweaters for dolls; you know when sometimes you just have one of those "aha!" moments and stumble upon on awesome idea? I had a serious epiphany moment standing in the middle of the aisle at my craft store, and started talking to myself under my breath about how FABULOUS these would be for my Coca-Cola holiday party! 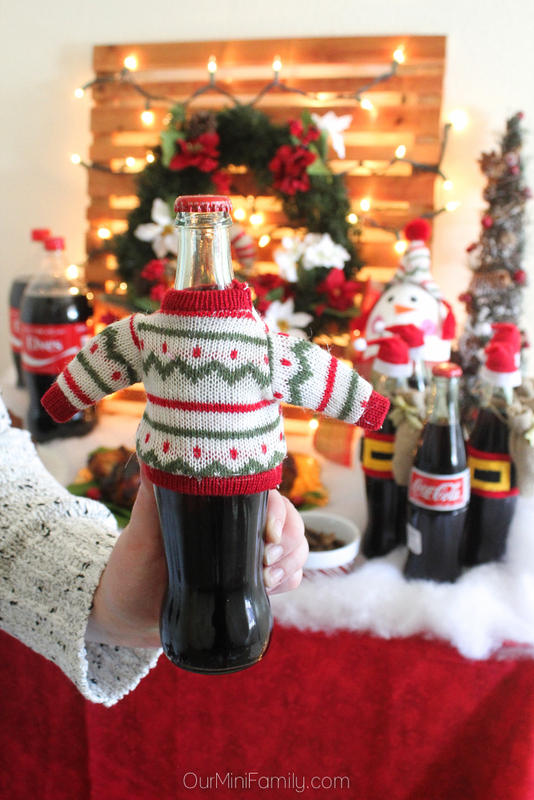 After I had a few weird looks from other shoppers, I took my excitement down a couple notches and picked up a few of these doll sweaters to decorate my Coca-Cola glass bottles with. All jokes aside, are these not the cutest glass bottles you've ever seen?! I can't even! 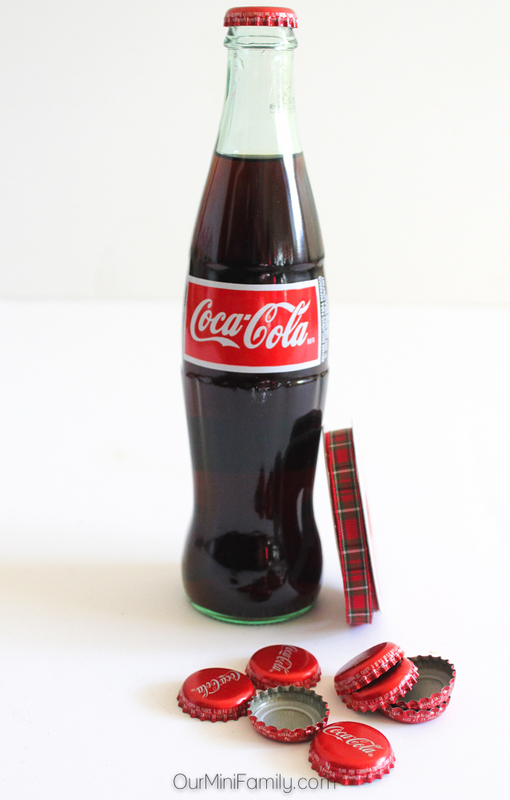 Not sure what to do with your empty Coca-Cola bottles? 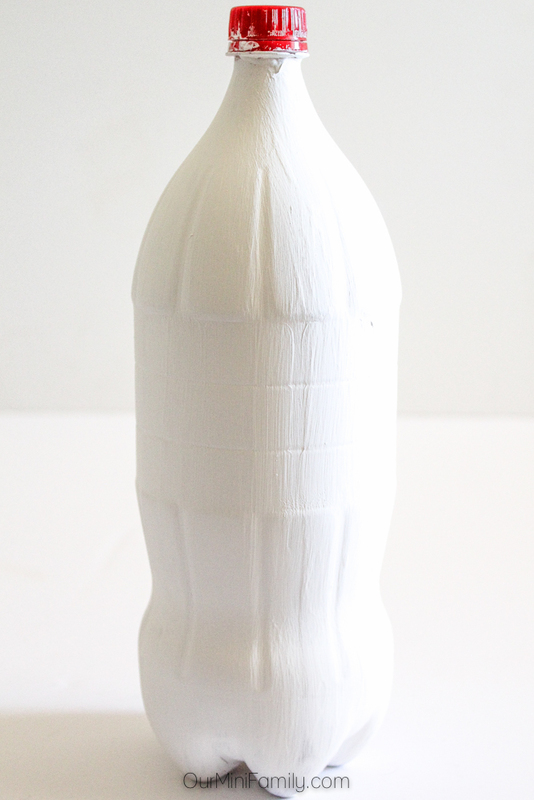 Turn your 2-liter into a snowman! For my snowman, I used: one 2-liter bottle of Coca-Cola, white acrylic paint, a large paintbrush, pink acrylic paint, a medium-sized round blotting brush, a black permanent market, orange felt, glue, a doll-sized winter hat, scissors, and large plaid ribbon. First, I rinsed out my bottle and then let it dry. Then I painted on 3 coats of white paint and let it dry for about an hour in-between coats. Using the pink paint and the round blotting brush, I created two circles on each side to create the snowman's cheeks. Then I drew on two black centers of the eyes. Next, I went over the eyes and left a small white spot inside the circle (to give the eyes a more 3D effect). Next, I created the snowman's smile by making about 10 small black circles in a semi-circle shape from one cheek to the other. 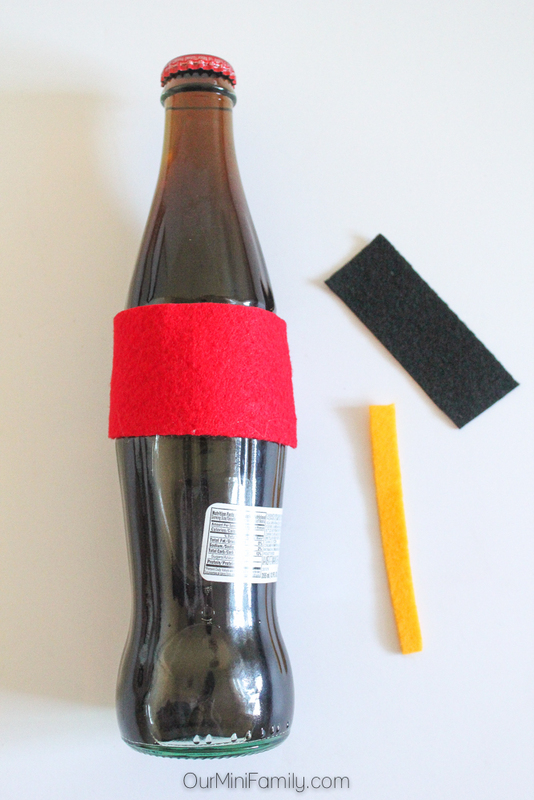 Next, I cut out a small triangle from the orange felt and glued it onto the bottle. 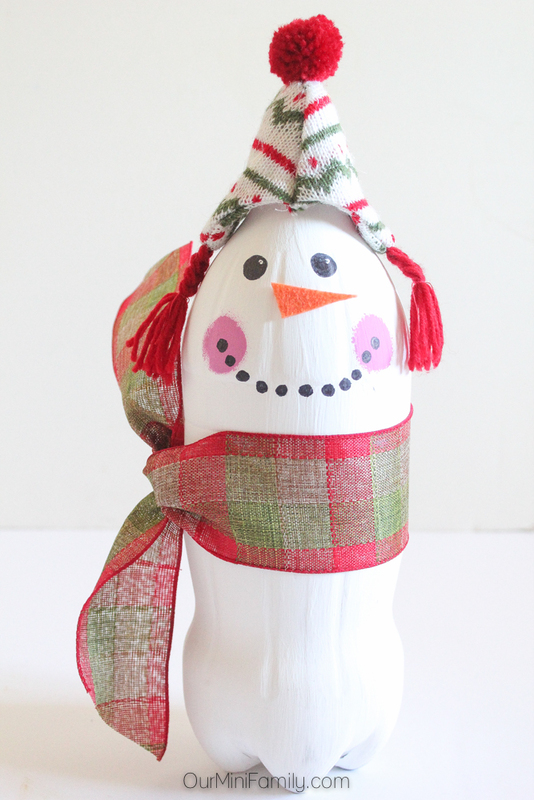 My doll-sized winter hat was the perfect accessory for my snowman, and then I finished the look by adding in a scarf for him by tying a large plaid ribbon around the middle of the bottle! We currently have this adorable little snowman sitting on the table by our front door right now! He's so cute! 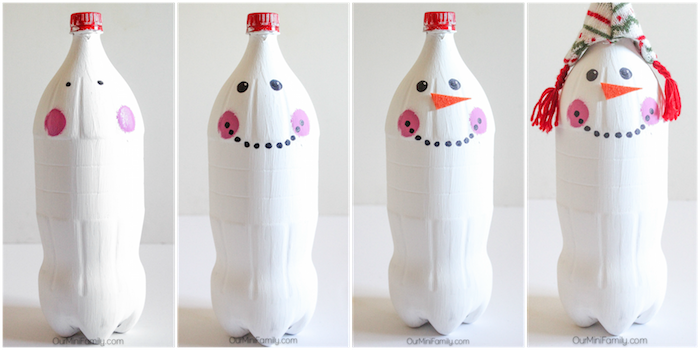 I think that this DIY Soda Bottle Snowman would be a fun craft idea to make with the kids! 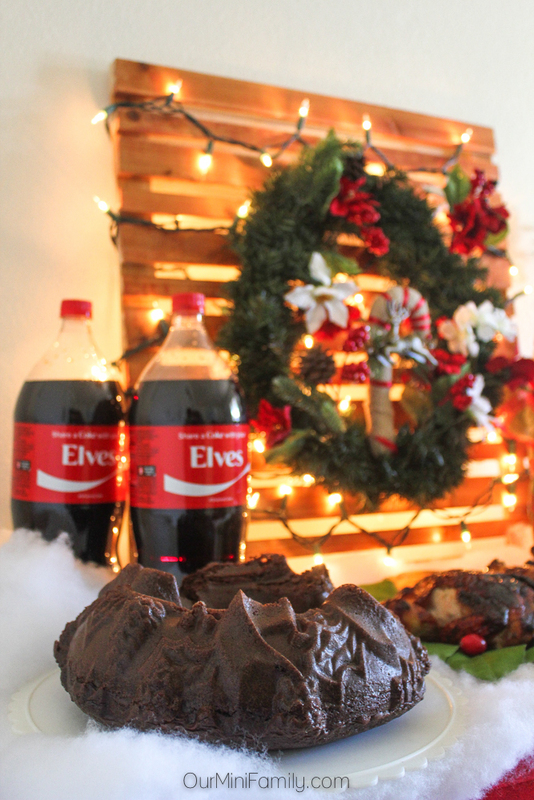 Our Holiday Party with Coca-Cola was a huge success! We had a great time with a few of our closest friends, and enjoyed some delicious food and drinks--and I was able to get almost all of the party supplies at Sam's Club. 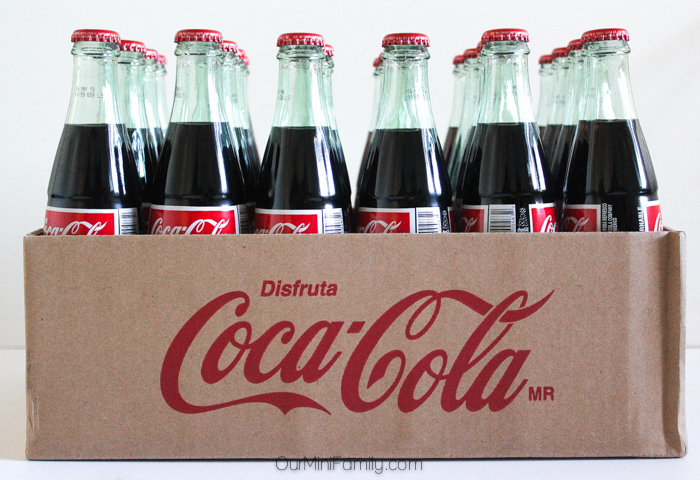 This 24 pack 355ml glass bottles of Coke de Mexico Coca-Cola was perfect for our party! 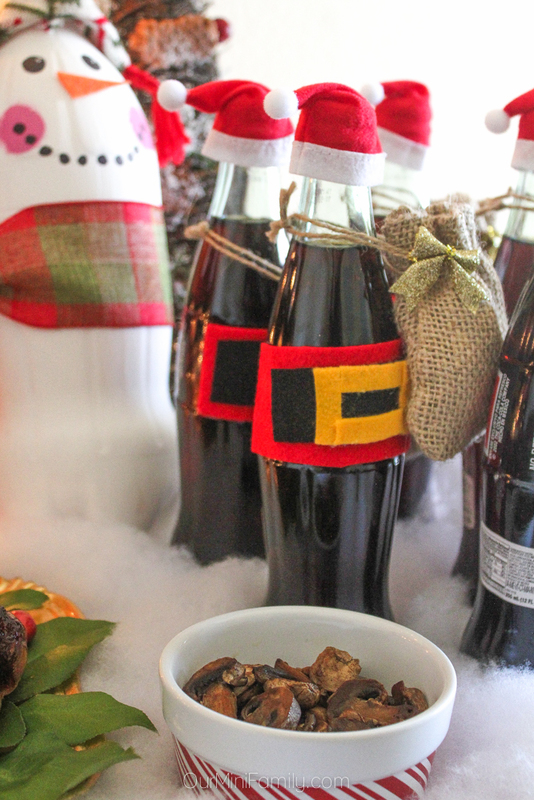 These bottles will compliment any holiday occasion including parties, recipes, gifts, etc. 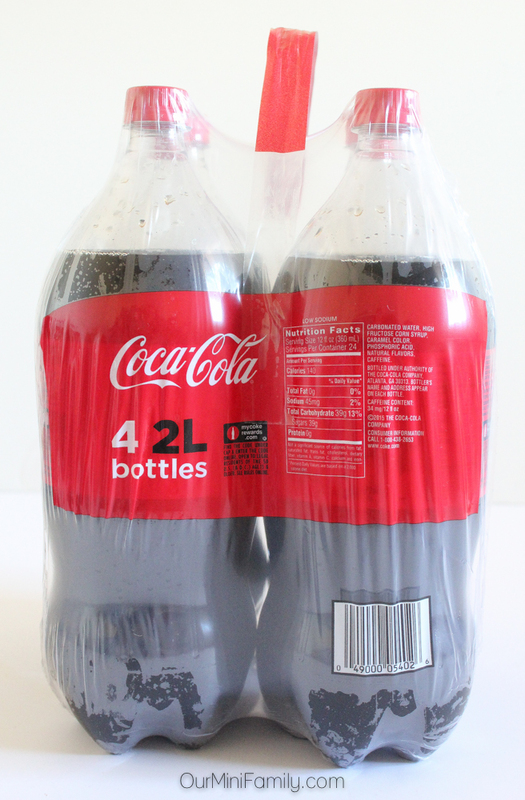 The 4-packs of 2-liter Coke were perfect, too! Sam's Club has a special price of $3.98 for this pack during the holiday season! We hope we've inspired you to host a holiday party of your own! Be sure to leave a comment below and let us know what your favorite recipe or tutorial was from our post! I'd love to hear feedback from you! 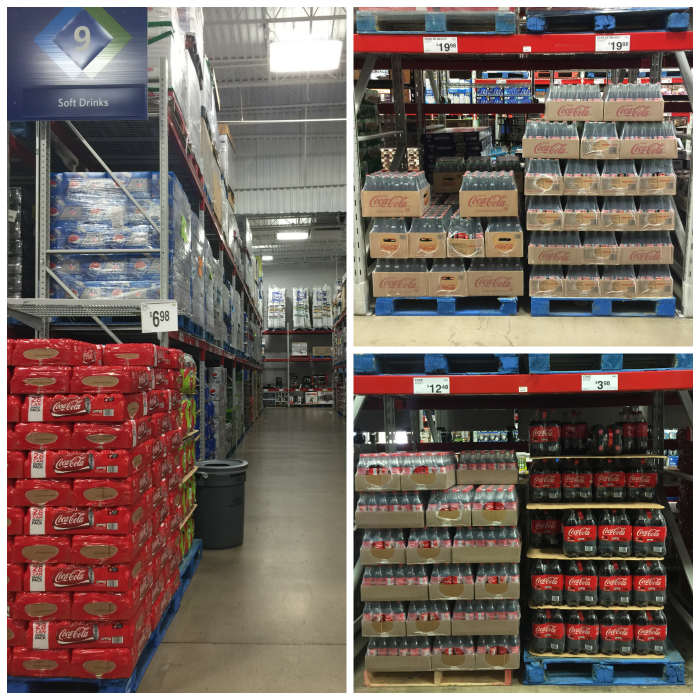 Be sure to head to Sam's Club to buy Coca-Cola for your holiday party! Love it all! Wonderful job, Mini Family! 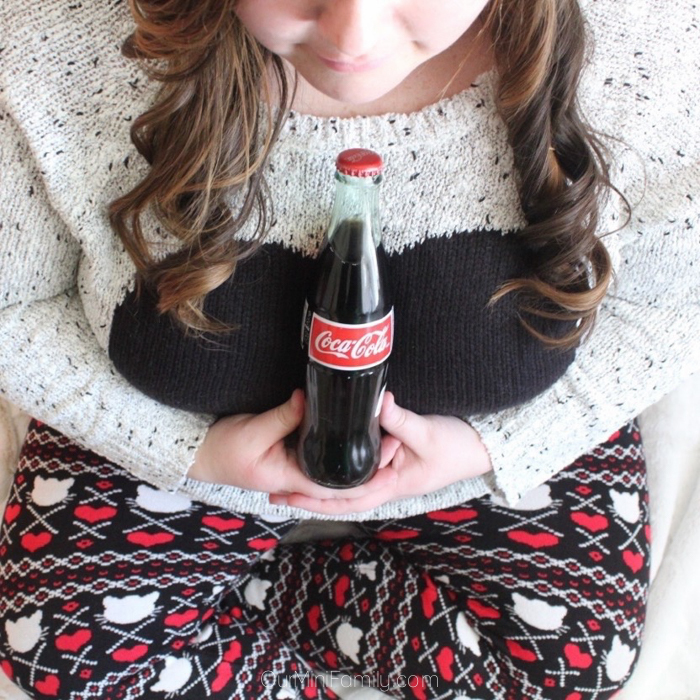 I didn't think I could find anyone who loved Coke as much as I did but, Hello it's nice to meet you! 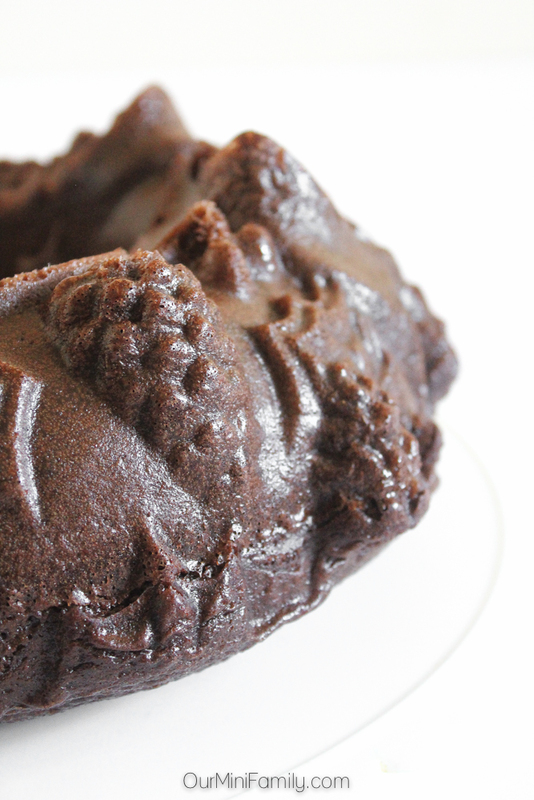 I can't wait to try the Coca-Cola Chocolate Bundt Cake. I have made the Cornish Game Hens and they are to die for. Thanks for sharing on Show and Tell Linky party. Thanks so much for stopping by from the party, Heather! I love your decor! What a fun party! Wow! this is awesome! And I'm saving the recipes! Thanks! Glad I found you on Inspire Me Monday Linky! Following you now. 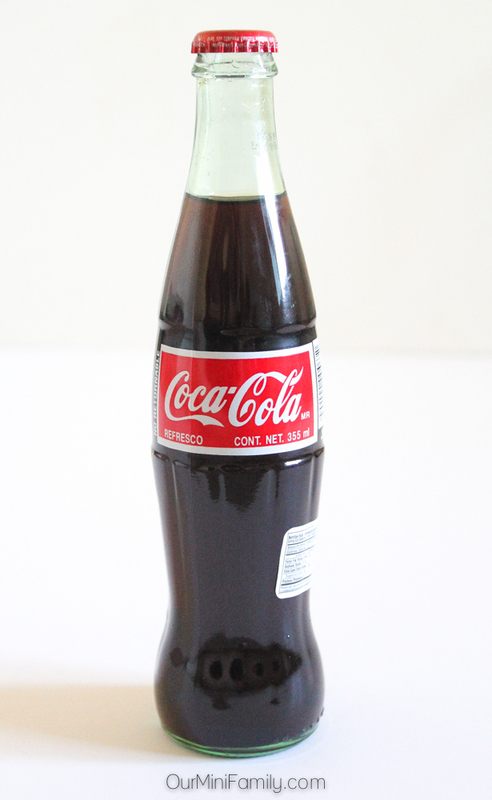 Coke looks so good! I'm so glad!! Welcome :-) and thanks Jody! Wow! It all looks awesome! I especially love the wreath and the little sweaters! So cute. Wow, such a cool post! 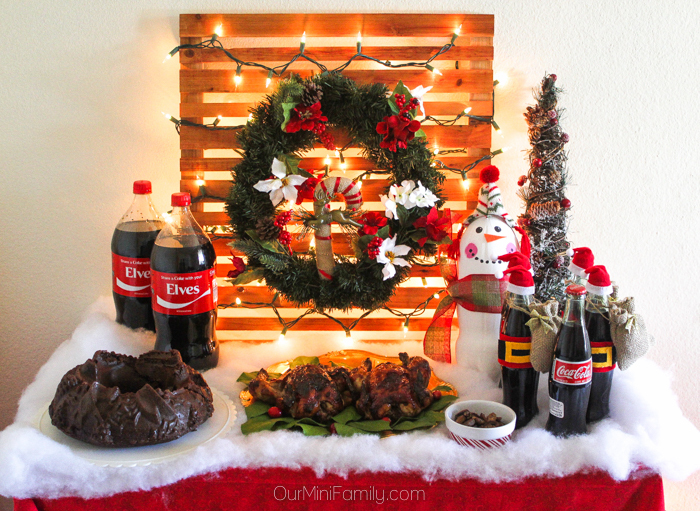 Love how you incorporated Coke with the decor too, looks awesome! Oh the coca-cola bottle outfits, I love love love!! So stinkin' adorable! What a fun post! Oh, my! That little snowman is the cutest! 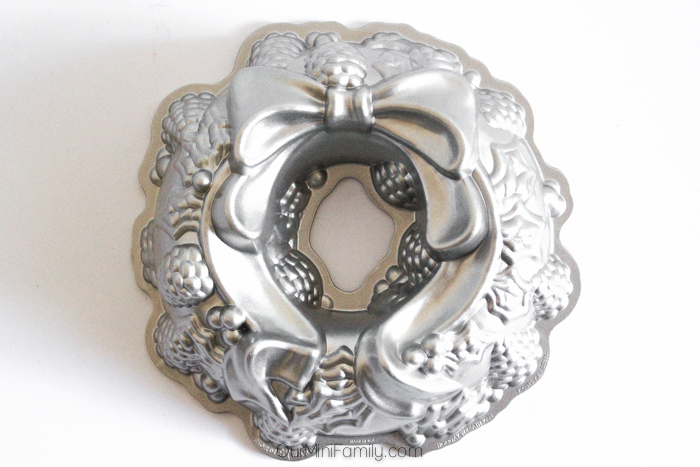 I also love bundt cake and really want to try your coca cola recipe! I bet it's amazing! I hope you love the recipe! What a gorgeous table! It feels so festive! I love all of these ideas and the table setup looks so good! I NEVER thought about adding Coca Cola to so many recipes! 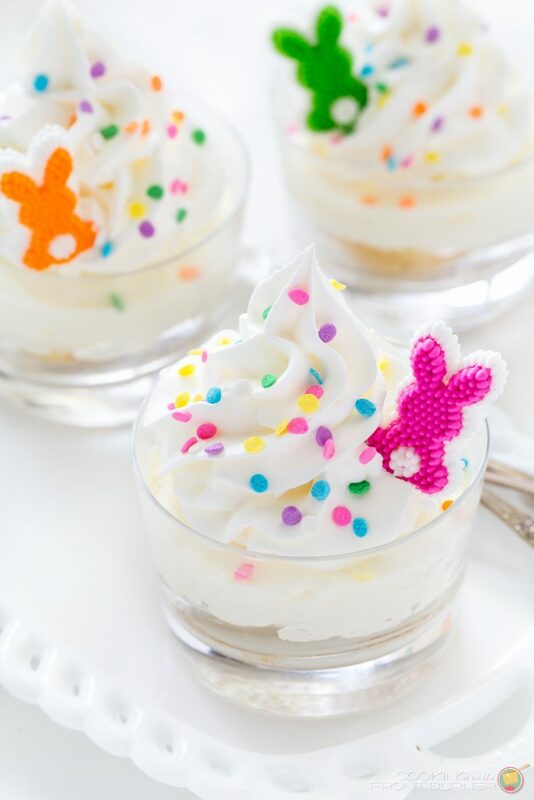 That's a fun and creative take on a traditional party! Love all the pics!! Some beautiful holiday touches! 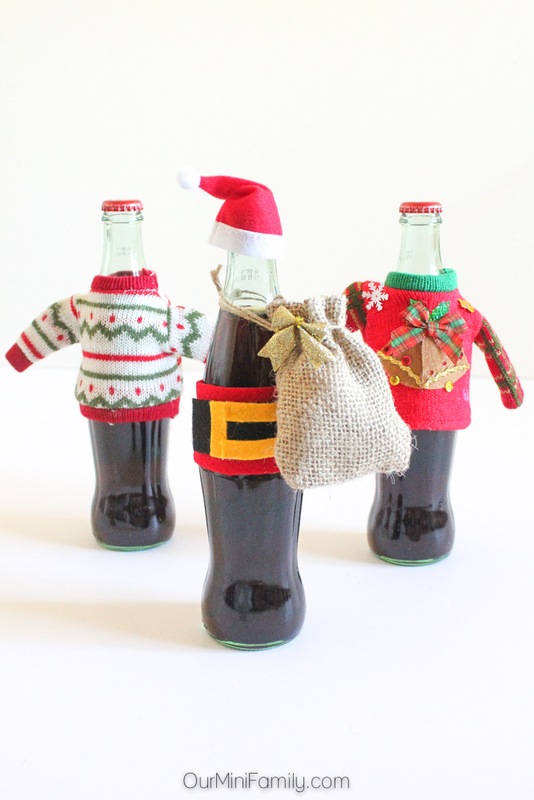 Especially love the Santa belts on the bottles. Cute! The Santa belts are a hoot! I love the sweater idea the best! Great party and great decor! You inspired me to do this!!! Great steps and creativity!!! I love Coke too!!! I'm SO glad you feel inspired--that's always my goal! 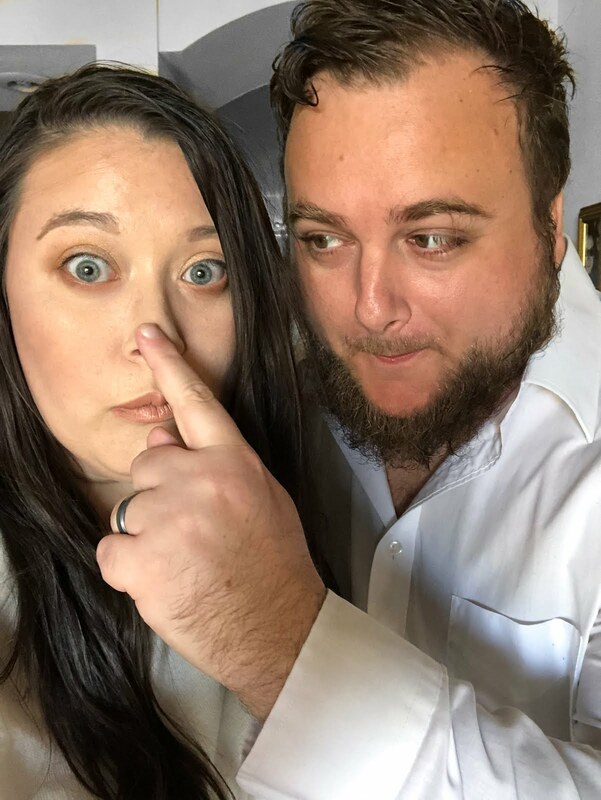 This whole post is so stinking cute. I LOVE the party set up! Great job you creative genius you! Fun projects! Love the palette with the lights!!!! The palette with the lights is my husband's favorite, too! I love the Santa in a bottle. So cute. 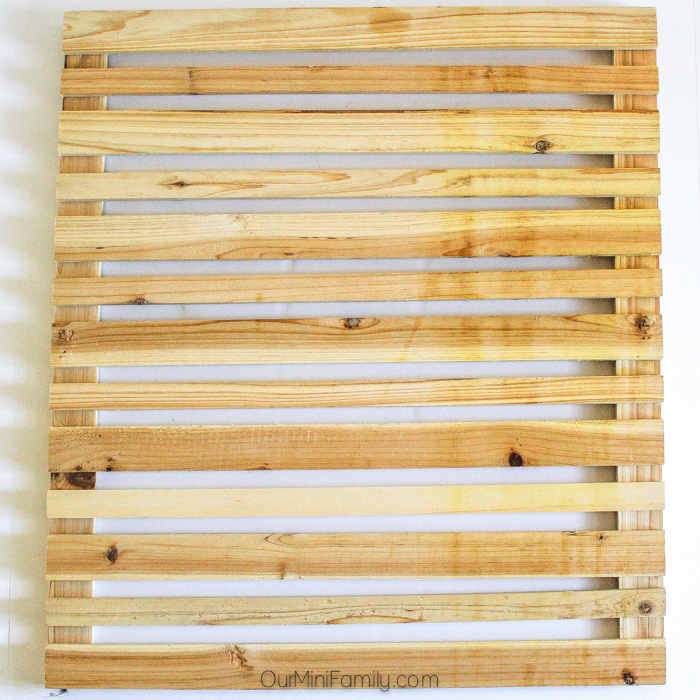 I love how easy all of these projects are to do! WOW! Each idea was better than the other. I'm totally crushing on your talent right now. I especially love the cap ornament and how you decorated the bottles. 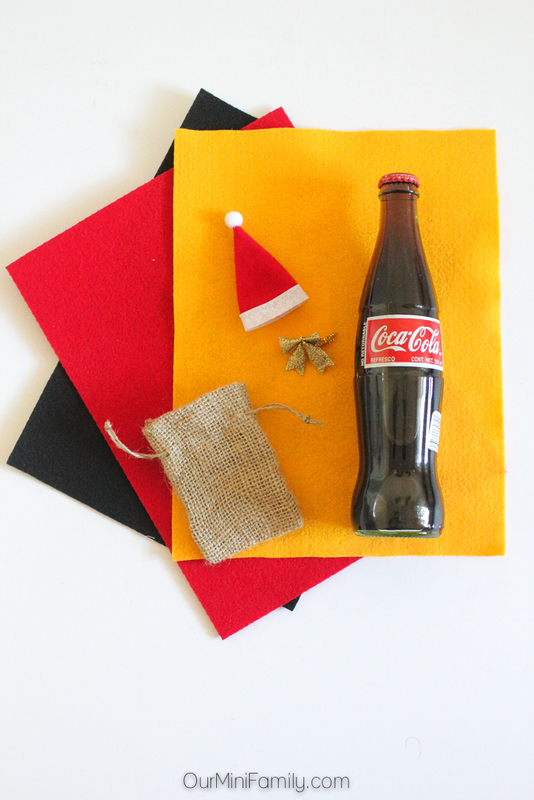 Those are some really cute crafts with Coca Cola! What a very cute set up. Wow!! 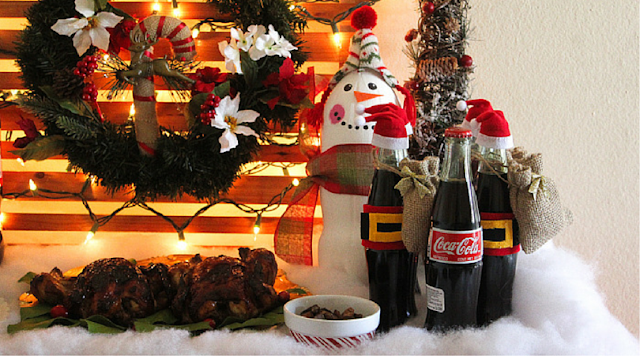 So many ways to cook with Coca Cola!! great job! i love how it turned out. Gorgeous.